In an escalation of demands for improved pay and better working conditions, doctors yesterday announced they were widening their strike until government 'plays ball', further compounding problems for stranded patients at the country's public hospitals. The announcement comes as senior medical staff have joined junior doctors who have been on strike for the past two weeks. 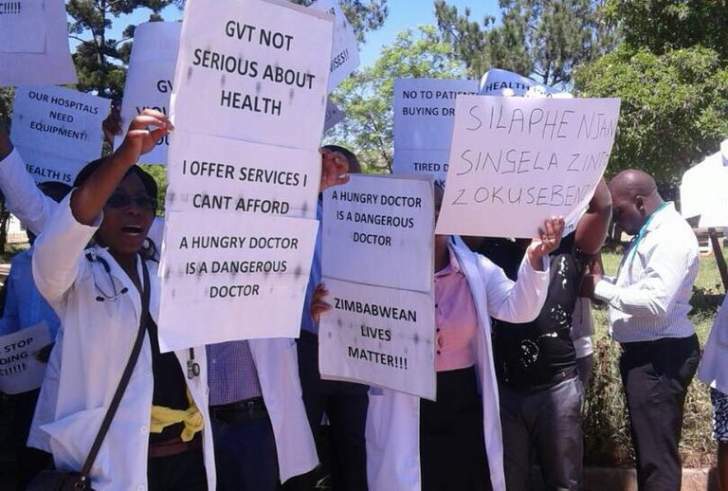 Zimbabwe Hospital Doctors Association said they were not making unreasonable demands and blamed Health and Child Care minister David Parirenyatwa and the Health Services Board for failing to accord urgency in resolving their concerns.